Hair loss is an unfortunate and sometimes embarrassing occurrence that affects too many people to be ignored. So many things can contribute to hair loss–stress, aging, smoking, nutritional deficiencies, scalp infections, genetics, medical conditions, using certain hair products, hormonal imbalance—that it is a wonder that anyone has hair at all. There are a number of medical options for treating hair loss, from surgery to pills, but if you are just starting to notice unwanted hair loss, or if you are uncomfortable with taking prescription medication, then herbal or natural hair loss remedies may be the solution for you. In a world awash in advertisements for pharmaceuticals, it is easy to forget that there are often all-natural ways to better one’s health. Hair loss is no exception; in fact, you might be surprised at the plethora of options available as remedies for hair loss. Indian gooseberry, or amla, is an important component of Ayurvedic medicine and antioxidant that contains high amounts of vitamin C (600mg/100g) can be used in a variety of ways to treat and prevent hair loss. Use amla oil to massage the scalp, mix amla juice or pulp with other hair-saving herbs (described in the following sections) and use it as a shampoo OR massage it into your hair and scalp, put your hair in a shower cap, and sleep in it overnight, then shampoo your hair in the morning. It can also be bought as a powder and mixed with lemon or lime juice. 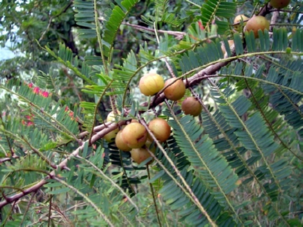 The internet is full of guides on how to make your own amla hair products, so check them out! 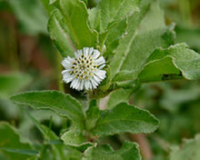 In Ayurvedic medicine, Eclipta prostrate is used in the treatment of liver disease and skin disorders, including eczema and hair loss. It has been clinically shown to have promise as an anti-microbial agent and insecticide. As hair growth agent, Eclipta prostrata was found to be successful in stimulating the growth of hair in mice, leading researchers to recommend it for more testing. While it won’t be the most pleasantly-scented hair treatment of your life, it is quite effective. Both onions and garlic contain large amounts of sulfur, which transports oxygen throughout the body and assists in cell regeneration, keeping skin, nails, and hair healthy. Extract the juice of onions and/or garlic and massage it into the scalp before shampoo, or mix onion with honey and make a hair mask. Boil garlic with coconut oil and use the resulting mixture several times a week. 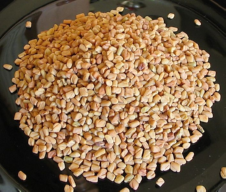 Fenugreek seeds are rich in protein and have been used as a treatment for baldness at least since medieval times. Breastfeeding mothers often take fenugreek to increase their milk supply. Not only can fenugreek help restore your hair, but it will also soften it and improve its appearance by giving it a healthy luster. To use fenugreek as a part of your hair treatment regimen, grind up fenugreek seeds and make a paste out of it, then apply it as a hair mask. Eggs are one of the best natural hair loss remedies available, as they are rich in sulfur, iron, protein, phosphorus, iodine, and zinc. When combined with olive oil or honey, an egg treatment can make hair stronger, prevent further breakage, increase softness, and, of course, regrow hair that has been lost. Eggs restore the natural oils that the scalp and hair contain. There are numerous recipes available for egg yolk hair products online, just remember to ALWAYS wash your hair with COLD water after an egg treatment. Using warm or hot water will curdle the egg and make it stick to your hair. If making your own hair growth products at home does not appeal to you, do not worry! You can always eat your way to a fuller, thicker, and more beautiful head of hair. They are also present in nuts and grains, such as flaxseed, pumpkin seeds, walnuts, and peanut butter. You can also apply magnesium oil to your skin (including your scalp) or take a relaxing bath in Epsom salt, which is actually magnesium sulfate. Hair is mainly made up of protein, so it is essential that you take in the appropriate amount of it if you want to keep your body and, more specifically, your hair follicles, functioning at full capacity. For meat-eaters, chicken, turkey, and eggs are great sources of proteins, while vegetarians and vegans should include food like Greek yogurt, kale, peanuts, lentils, tofu, peas, and beans. The body only needs about 11mg of zinc a day, so don’t go crazy with the zinc intake. Zinc regulates hormones, helps maintain production of glands that secrete oil on the scalp that help it grow. It also aids in tissue growth and repair. Chickpeas, oysters, beef, roast beef, and wheat germ are all foods rich in zinc. Selenium is an important substance in maintaining our bodies’ functionality. Selenium aids in reproduction, DNA synthesis, immunity, metabolism, and stimulates hair follicles, which causes hair to grow. Foods rich in selenium are Brazil nuts, ham, shrimp sardines, halibut, and tuna. For those unwilling to use surgery or prescription medication, there are a multitude of natural remedies for hair loss that will help you regain your gorgeous head of hair.